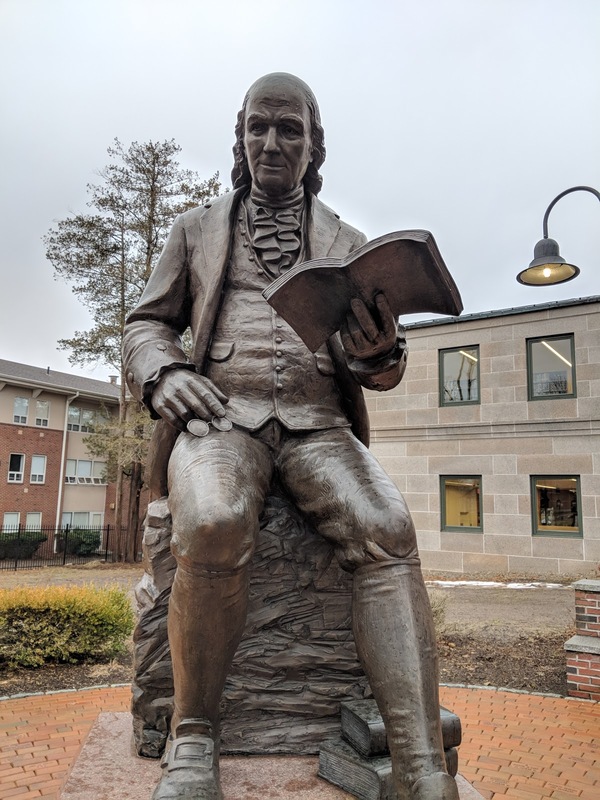 "For the first time, the library will host a public reading of the autobiography of Benjamin Franklin, the town’s namesake. The reading will take place from 9 a.m. to 8 p.m. on Wednesday and features multiple guest readers from the area, including State Rep. Jeff Roy, D-Franklin, and local inventor and engineer John Berg. “I’m really excited about, I think it’s a really cool thing,” Berg said. Lured by Franklin’s work with electricity and engineering, Berg said he’s delighted to help in the reading." "For anyone looking to make a difference this year, and have a good time doing it, the Relay for Life is coming up fast. Merging with Medway this year, Franklin’s Relay for Life will hold its annual kickoff event at Cole’s Tavern in Franklin on Jan. 30. Volunteer Tamra Waslewski said that with so many other fundraisers available, the Relay for Life has lost some of the steam it has had in years past.